The icon that inherited the legacy of the historic S models of the Miura, Islero, Countach, and Urraco returns to outdo itself in its most exciting version: the Aventador S Roadster. 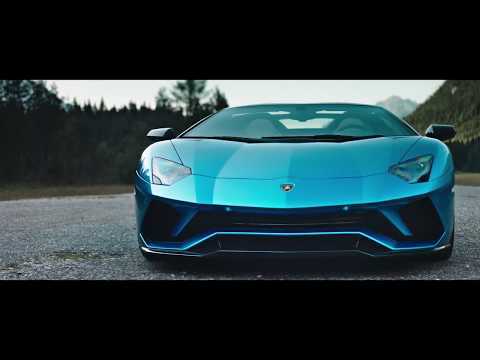 The new V12 engine with a whopping 740 HP and the exclusiveness of Lamborghini design, unparalleled in this open top version, are joined in the Aventador S Roadster by the most sophisticated technology of the range, including the new LDVA (Lamborghini Dinamica Veicolo Attiva), which provides an incomparable driving experience, all of this able to feed the ego even of those who constantly seek the most powerful and adrenaline-pumping sensations. The signature of the Aventador range is a combination of deep and bold lines, oriented toward the most extreme aerodynamics. The Aventador S Roadster reinforces this mixture of dynamism, refinement and aggressiveness by means of even sharper lines, inspired by nature and aeronautics, with exhaust terminals that transform the rear end into that of a space shuttle and a front end that recalls the strength and elegance of a shark ready to dominate the road. And then, the Roadster’s removable roof highlights the life-style at the heart of the Aventador S: an unbeatable mix of sportiness and elegance that allows you to experience every sensation at the maximum level. Just like for the Coupé version, the interiors of the Aventador S Roadster completely fulfill the task of seamlessly blending its supersports soul with cutting-edge technology and a design that is always incredibly luxurious. The interior finishes feature materials of the highest quality and present an infinite variety of possibilities, like the new S-trim configuration. Options also include the possibility of choosing an innovative material such as Carbon Skin® to be the covering for some of the interior details. Being able to run at more than 350 km/h is an experience of pure adrenaline. And doing it with nothing between you and the sky is one sensation that can unleash another thousand: the most powerful you will ever experience aboard an automobile. Because at the wheel of the Aventador S Roadster, thanks to the extreme agility of its active vehicle dynamics, every curve becomes a quiver of exhilaration on your skin, and the 740 HP unleashed onto the asphalt by the iconic V12 engine is not just music, but an entire symphony. With the Aventador S Roadster, you will discover the most powerful tool for feeding your ego and amplifying your senses to the highest level. Choosing the car of your dreams means making one with your own hands. This is why Lamborghini has always been synonymous with personalisation. Exterior and interior colours, stitching, materials for the passenger compartment, and brake calipers: the combinations are potentially infinite and allow you to have a car that is truly unique: yours. We will be available to advise you in detail on the many possible personalisations, so that your automobile is truly in line with your needs and, above all, with your personality.